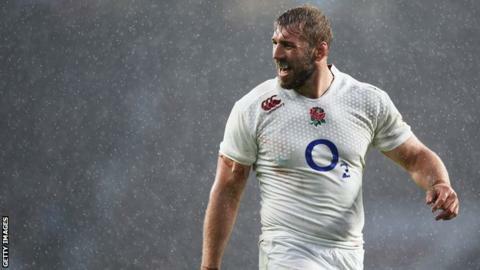 England captain Chris Robshaw will be out for three to four weeks with a shoulder injury, his club Harlequins have confirmed. The 28-year-old sustained the injury during Quins' home win over Leinster in the European Champions Cup last Sunday. The flanker is expected to be back in action in early January, with England's Six Nations campaign starting against Wales in Cardiff on Friday, 6 February. Pool Two leaders Harlequins next face Leinster in Dublin on Saturday. Robshaw is also likely to miss the Premiership games against Newcastle, Northampton and London Welsh.